You can now download Paint 3D Preview app for Windows 10 ahead of Creators Update release which is scheduled for Spring 2017. Microsoft showed the world a glimpse of Paint 3D during its New York City event yesterday, and while the headlines were understandably lauding new computers and accessories, Paint 3D should not be forgotten, especially because it ties into the big 3D push that Microsoft is now having. While Paint 3D isn’t yet ready for everyone to play with, Microsoft is now letting Windows Insiders test out an early version of the app. 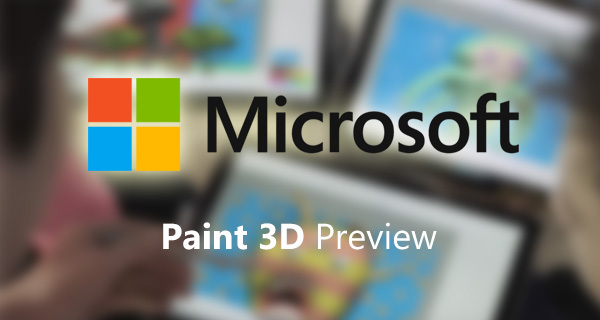 The Paint 3D Preview can be downloaded free of charge from the Windows Store, so long as you’re a Windows Insider of course, and certainly looks like it could be something special, especially if you have a use for it. Members of the Insider program can download the app right now. Paint 3D’s Windows Store entry does note that users will need to install the latest Windows Insiders build (Windows 10 Build 14800 or greater) in order to give this latest rendition to the old Paint app a try on their PC. If you don’t know how to get up and running with the Windows Insider Program, we have a step-by-step guide on how to get your PC ready to download and update to the latest Windows 10 preview releases here: Enable Insider Preview Build Updates In Windows 10, Here’s How. Alternatively, users can also sign up on Microsoft’s remix3d.com website to get in on all of the Windows Creators Update action. Microsoft’s New York City event brought new computers and accessories which will all ship early next month. All devices tie into Microsoft’s newfound 3D focus, and all look pretty special in a variety of ways. We’re particularly interested in Microsoft’s thoughts on virtual reality, especially considering it is already hard at work on HoloLens. The coming months are set to be interesting ones for new and updated products coming out of the company. 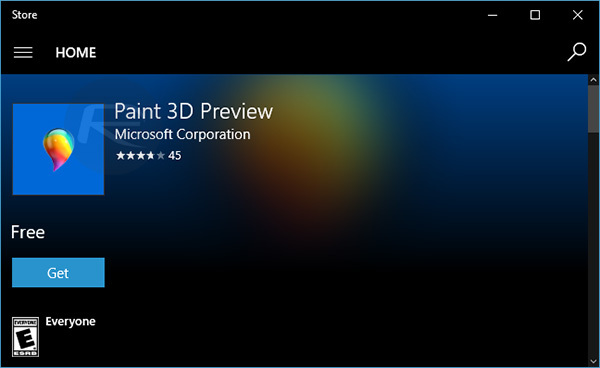 After all, who thought we’d get a 3D version of Paint? !